ZUAVA IN STEEL. 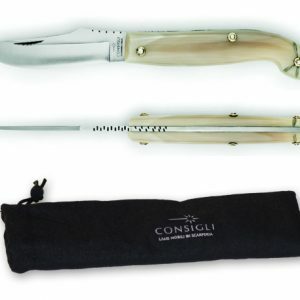 Traditional Scarperia knife used all over Tuscany until the beginning of the Nineteenth century. It had a novel element for its time, in that the metal structure was inside the handle. 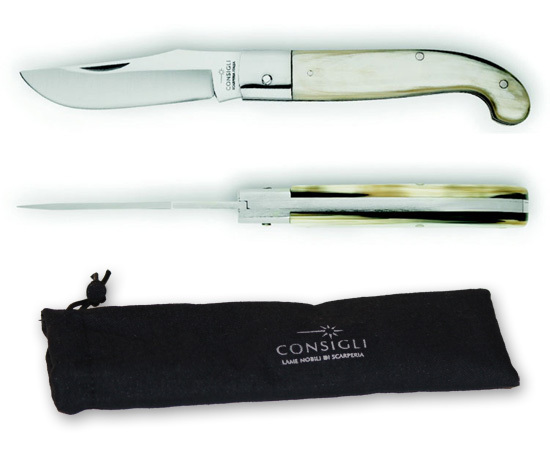 Available in the traditional bovine, Consigli also makes it in buffalo and exotic woods. 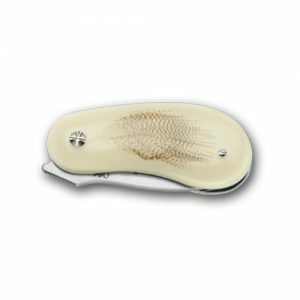 This model is featured in Buffalo horn , a rich dark horn with finishing touches in stainless steel, the two stainless steel bolsters are pressed onto the plates rather than welded, and finished with the exposed pin in the traditional style. 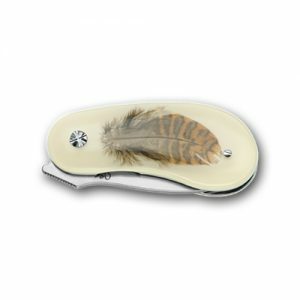 Equipped with a spring friction locking blade, with a handle in buffalo horn, it is particularly strong and appreciated for a wide range of purposes. The fully sprung blade holds open firmly without a locking mechanism. Highest quality steel this knife is exceptionally sharp straight out of the box. In the picture: handle is cow horn, current stock is buffalo horn. 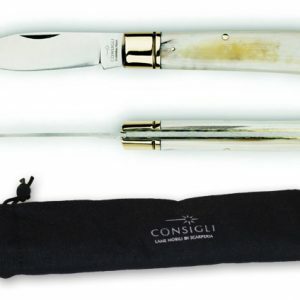 What has never changed is the method, which to this day still follows the Fifteenth and Sixteenth century master knife-makers. 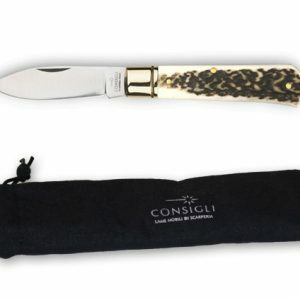 Consequently the knives are produced by hand by skilled artisans, finely finished one step at a time in every little detail and finally decorated with painstaking engravings and noble materials.